The Bible for Grown-Ups neither requires, nor rejects, belief. It sets out to help intelligent adults make sense of the Bible -- a book that is too large to swallow whole, yet too important in our history and culture to spit out. Why do the creation stories in Genesis contradict each other? Did the Exodus really happen? Was King David a historical figure? Why is Matthew's account of the birth of Jesus so different from Luke's? Why was St Paul so rude about St Peter? Every Biblical author wrote for their own time, and their own audience. In short, nothing in the Bible is quite what it seems. 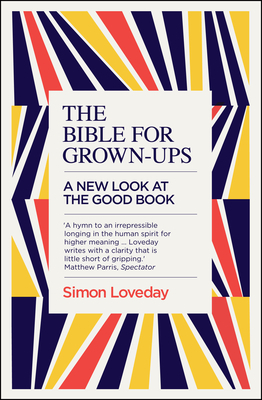 Literary critic Simon Loveday's book- a labor of love that has taken over a decade to write- is a thrilling read, for Christians and anyone else, which will overturn everything you thought you knew about the Good Book. Simon Loveday trained as an anthropologist and a literary critic, teaching at UEA and Oxford. He also edited the psychological journal Typeface and wrote The Romances of John Fowles. He lectured at Keele University and lived in Wells, Somerset, where he was at one time Chair of the Wells Festival of Literature. Simon Loveday died in October 2016.